A fun show of dreams and wishes for this time of year. 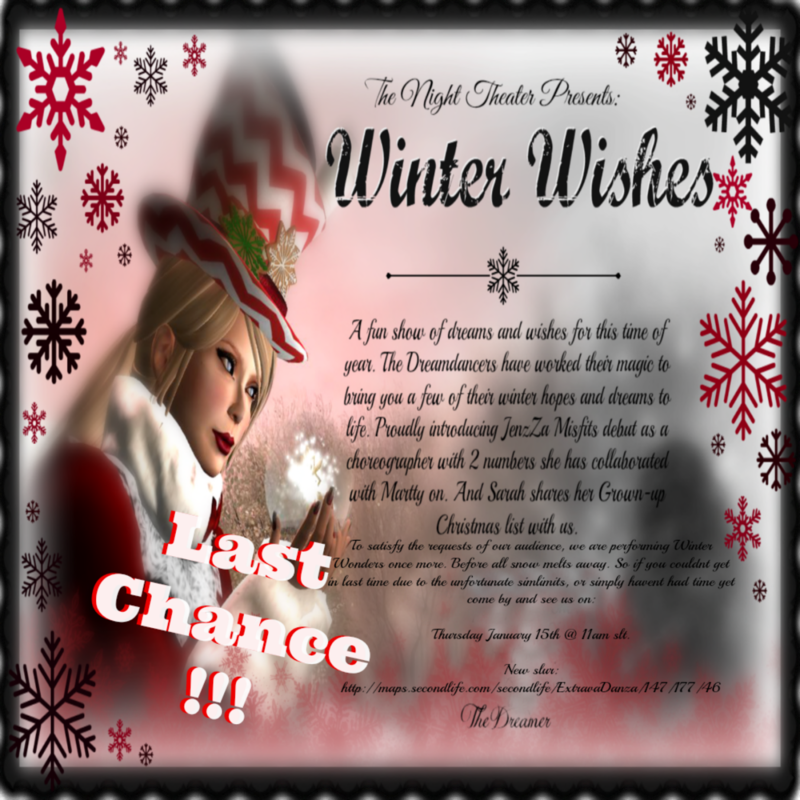 The Dreamdancers have worked their magic to bring you a few of their winter hopes and dreams to life. With 2 numbers choreographed by JenzZa Misfit & Martty Gehter, another number by Sarah Elisabeth Brenham and a few more as usual by Aelva. Thursday January 15th @ 11 am slt.